There are no guarantees that any of the doomed souls who populate FX’s six-season espionage drama The Americans—which airs its series finale next week—are going to get out of the spy game alive. But at least one of the show’s most beloved “characters” might get some kind of post-series happy ending, with Vanity Fair reporting that FX is potentially plotting to give fan-favorite Mail Robot a real-world retirement. For those unfamiliar with the series, the Mail Robot is a long-running obsession for both the show’s fanbase and its creators, a reference to a sort of real-world proto-Roomba that used to roam the halls of the FBI, ostensibly to deliver letters to agents, but mostly to act as a nuisance and bump into people all the damn time. 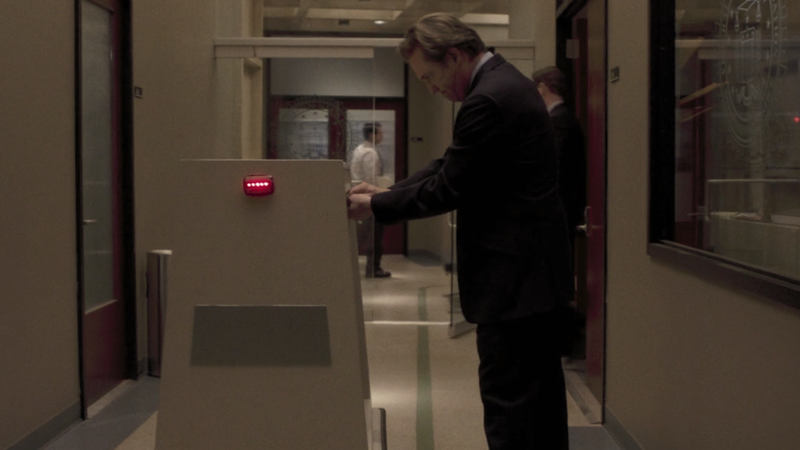 Introduced in the background during the show’s second season, the bot rose to episode-title prominence in season 3's “Do Mail Robots Dream Of Electric Sheep,” where it was re-purposed as a spy device, because nobody gets out of The Americans with their hands (or wheels) entirely clean. But even if Mail Robot might be gone from the series, there are apparently plans in place to give it a post-show afterlife. According to the VF article, network executive Jonathan Frank wants to take the fake Mail Robot prop the show’s been using for years and transform it into a real, functioning mail robot, wandering the FX offices and just sort of generally getting in the way. (It’s kind of like Pinocchio, if the Blue Fairy just transformed him into a slightly better, more mobile kind of puppet.) “My hope is that it teeters on the line between making people happy and not quite annoying them,” Frank said of the device’s proposed fate, and while we’re not sure how practical that latter goal might be, it’ll be good to know it might still out there somewhere, beeping along, making a dark world a little brighter and dumber as it rolls along its way.